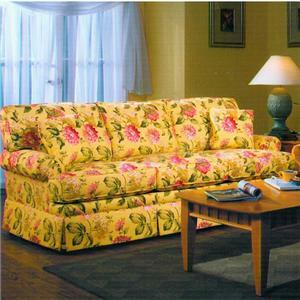 Also available with skirted base in the 600 series. 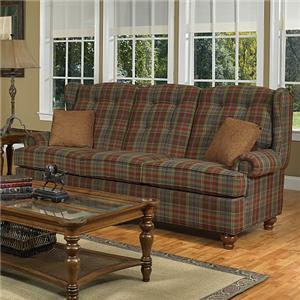 The 670 Traditional Full Length Sofa with Bun Feet by Lancer at Town and Country Furniture in the Hamburg, Buffalo, Lackawanna, Eden, NY area. Product availability may vary. Contact us for the most current availability on this product. 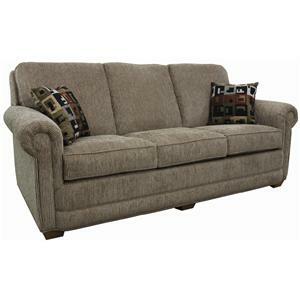 Browse other items in the 670 collection from Town and Country Furniture in the Hamburg, Buffalo, Lackawanna, Eden, NY area.